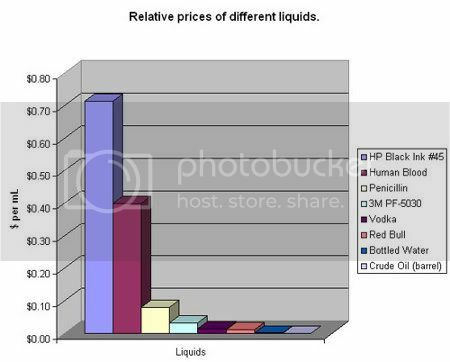 Did you know that printer ink costs more per volume than vodka, Red Bull, human blood (yes, human blood), and WAY MORE than oil? Yeah. I think it's time for me to start a new Web site, Cash4Ink.com.